Dive into the world of fruits with Pocket Fruity app. It has been in the industry since 2012, and as the name suggests, this a pocket-friendly casino meaning you have the chance to carry it around in your mobile phone. Alchemy Bet Limited Casinos are the proud owners of this site. They are dedicated to providing all mobile players with a thrilling online gaming experience. The features are filled with fruits all over. You’ll see funny strawberries, oranges, and grapes to mention a few. The site is based in the UK with a licence from the Alderney Gambling Control and the UK Gambling Commission. The language is English, and the currency to use is British Pounds Sterling. Expect to play unique games from Realistic Software, including three and five-reel slots. After Pocket Fruity mobile sign in, you’ll see two options. These are the site version and the app. You can choose to play any of the two, but the app offers a different experience. If you want to download, we have listed a few tips to follow. On your smartphone or tablet, go to your browser. Search for download Pocket Fruity app. Once on the page, click on Download for Android, iPhone, Blackberry or Windows. Wait for a few minutes for it to complete and then install. Log in to your account if you have one. If you don’t, go for the sign in button. Fill in a few details like your name, email, and the country of residence. You are now ready to indulge in a fruity experience. Find the Pocket Fruity app for Android in Google Play Store. Download and install to disembark on your Android playing journey. The Android devices compatible with this casino include Samsung, HTC, Sony, LG, Huawei, Motorola, Asus, Acer, Wiko, and Moto G.
HTC – Nexus Series, Max, Dual SIM, Ultra, Play, Lifestyle. Sony – Compact, Plus, Tablet Z4, Xperia M5, XZ. LG – Mini, G, Class, 5x, G5, G6, Q6. Huawei – Mate S, Y6, P9, P10. It is just a wonderful feeling for players to know they can experience the same thing at any time they want to. You can have the same experience as the one when playing Pocket Fruity Android version. Download the file from the App Store or iTunes. Some of the compatible iOS devices include iPhone 6, Plus iPhone, 6S, Plus, and iPhone X just to mention a few. It is very easy to navigate. There are few buttons on the left side of your screen such as the Home button, Games, VIP, and Promotions. In the games, you will encounter spin and exit buttons. 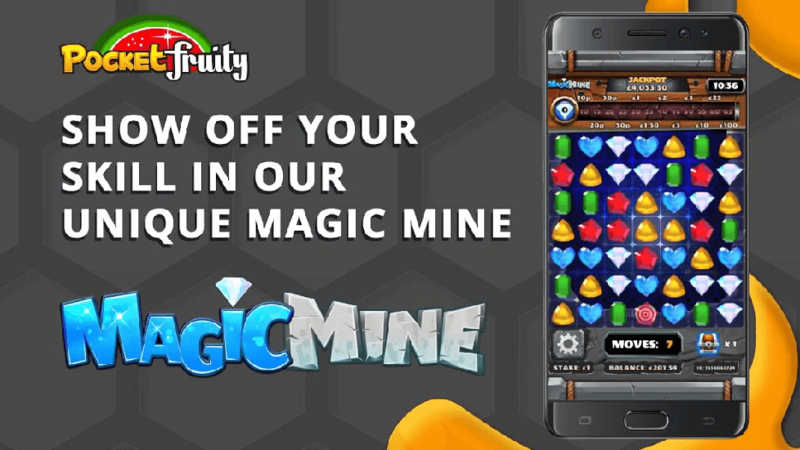 Pocket Fruity application specialises in providing sublime designs from Realistic Games. The other providers include NetEnt and IGT. The features, graphics, and animation are all different from what other gaming companies offer. You don’t need to download the games as they are already on the site. All you have to do is log in to your account and search for a game. Expect to find hundreds of them right on your device. Some of the Pocket Fruity mobile slots you’ll come across are the three-reel slots such as Grand Master Cash, Snake Charm, The Purse of Tutankhamen, and Count Ya Money. The five-reel slots include Starburst, Cleopatra, Twin Spin, Baking Bonanza, and Gonzos Quest. 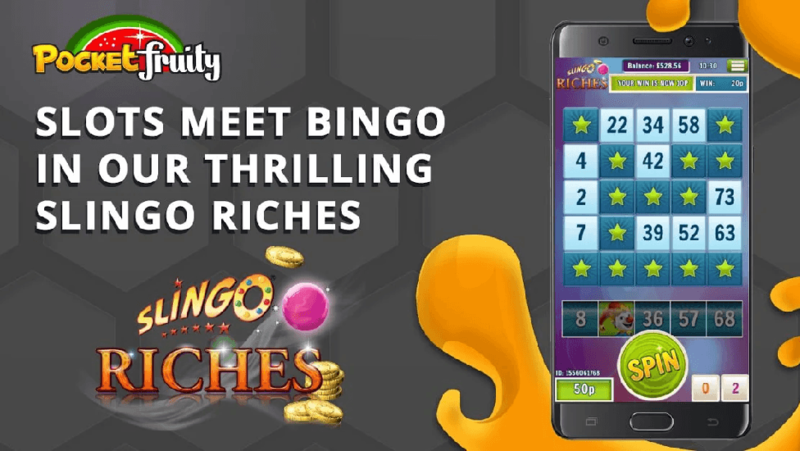 The app also features other options like the live casino, Slingo, and Slingo Boom. 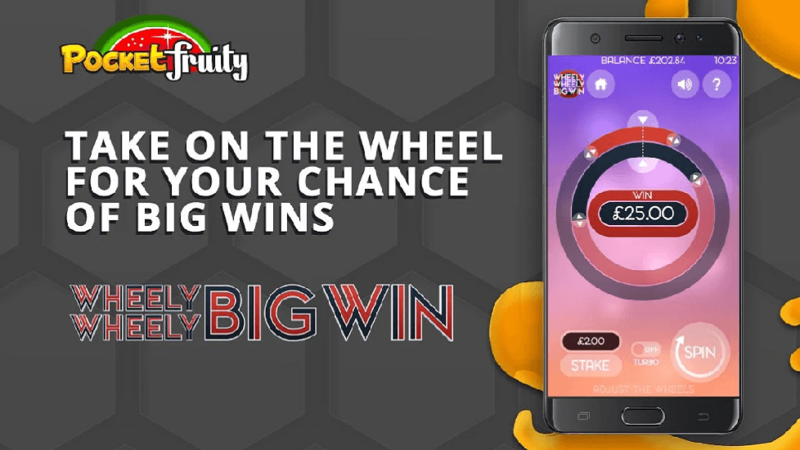 The Pocket Fruity mobile app offers a wonderful welcome bonus of £10 without any deposit. For the first real money deposit, you’ll get a 100% match bonus on £100. The second deposit will get you 20 free spins that you can use in some of the juicy slots like Jack and the Beanstalk, Gonzo’s Quest, and Twin Spin. All the bonuses are subject to wagering requirements depending on some specific slots and games. There are regular updates on the current promos in the promotions section. Most of them depend on the holidays, with the most recent being the Halloween treats. Make sure to be up-to-date with the promos so that you cannot miss out on anything. It is the best when you take a look at them the moment you sign in. More free spins could be found via bonus and promo codes. 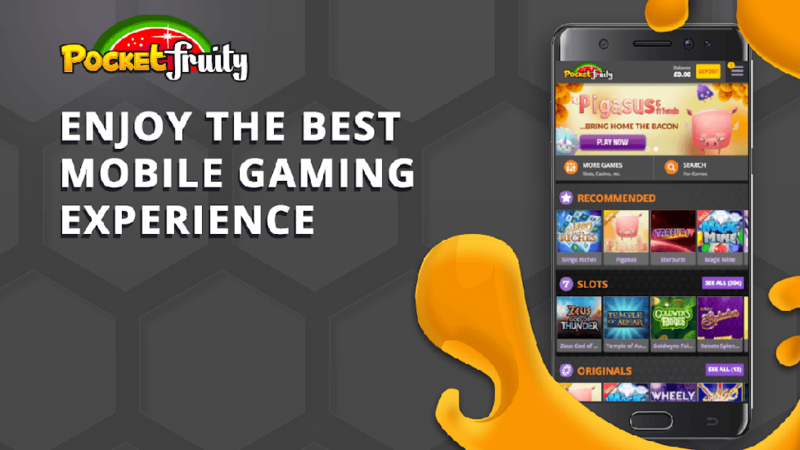 We cannot deny the fact that Pocket Fruity apk is a great app with awesome bonuses and rewards. Despite this, it has limited banking options, but this does not prevent any player from gambling here. Remember that it is only for UK residents, so it has the methods that are used in that country. The most loved mobile casinos are there for their customers anytime they need them. Thus, Pocket Fruity offers a 24/7 player support regardless of the time and day of the week. For any prompt response to your inquiries, contact them in Live Chat. There is also a help button at the bottom of the screen. You can call them by using the telephone number provided and even send an email. There is also an option for a snail mail. All the transactions are done and other important information is encrypted through SSL. This is to ensure safe withdrawal and deposit methods. All of the games are monitored by the UK Gambling Commission. This is to guarantee safe and fair playing for everyone. Your profile and private data are also kept confidential, so you don’t have to worry about anyone accessing your account. You have the right to make complaints to the commissioner’ office. If you share your devices with anyone, it is advisable you log out first before leaving them on the desk. Responsible gaming is a part of your safety. You will find this at the bottom of the screen. Regular Be Gamble Aware meetings are held so that you can know for sure if you do it for fun or you take it seriously and can suffer from depression. The Pocket Fruity mobile site can demand documents to verify you are legibility to play. The under 18’s are not allowed to play in this app. And once again, they will be banned from playing, and all their winnings will be cancelled. Watch for your phones as children can get to them. In any case, you are required to make strong PINS and passwords to prevent anyone accessing your casino account. Pocket Fruity mobile is a very impressive app a. It has a great library of games, colourful features, and high-quality graphics. It is easy to access at any time regardless of where you are. What’s great is the fact that the funny fruit characters make your stay more enjoyable.